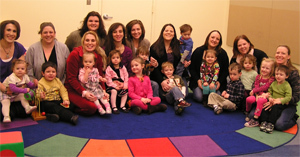 Moms’ Group is part of the National organization Mom-mentum which holds mom-to-mom (family) support programs. A weekly group that focuses on the needs of all Moms! Discuss the ever changing challenges and joys of parenting. Children are welcome. Free play. For more information, call 631-585-9393 ext. 226 for more information.Check the program catalog for current meeting dates.